Moving to Sydney - Compare International Movers & Save up to 70% ! If you are looking for the perfect moving company to take care of your move to or from Sydney, the quick and easy service offered by Intlmovers can help you. 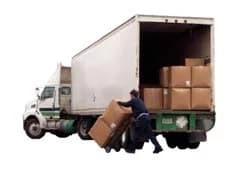 Be sure to hire a moving company that is able to transport your goods without any problems, so that you can begin your new life in Sydney quickly. Intlmovers will help you to find the right moving company to suit your specific moving needs. You will have a great choice of professional moving companies depending on your requirements. Compare up to 6 moving companies to help you easily organize your international relocation. The international moving companies have years of experience with removals to Sydney. Living in the tourist capital of Australia, in the beautiful city of Sydney is exciting. However, in comparison to other Australian cities, the rental costs are relatively high. It is a popular place to be, with a large number of attractions to offer. Many people dream of a life close to the beach and in the bustling metropolis in the amazing city of Sydney. Whilst Sydney may be famous for its reputation of the biggest and most expensive city of Australia, there are also plenty of other things for it to be famous for. As with any major city, there are a number of inner and outer areas with varying accompanying price tags. Sydney is a bubbling multicultural city with an elegant mix of people allowing for a great level of diversity. Annandale is located in the inner west close to the city center. It is characterized by old Victorian architecture, seen as enchanted “witch’s houses” and wide roads. In this neighborhood, there are commonly families with a mid to high level income. This neighborhood was considered the surfers area back in the 70’s and 80’s. Nowadays, the average age has changed and the spirit changed to the modern organic lifestyle. The most significant change can be noticed in the income of the families. Bondi Beach is probably the best known neighborhood in Sydney and one of the most famous beaches in Australia. It is a popular area for young singles and couples, backpackers, professionals, and retirees. You can envisage everything in Bondi Beach. Fairlight is a younger district. Due to its calm neighborhood and a small city center, it is favored by young couples and families. Here you will find nice views over the harbor, a close beach and rental costs that are cheaper than Manly. Newtown is a popular inner city area where you will find an interesting mix of residents. This includes students living next to their professors, migrants and people from all walks of life. It is a safe, but individual area close to the center with a good public transport and Victorian cottages. Parramatta is located outside the city center of Sydney shaping the business and retail center. In comparison to Sydney’s suburbs, the rental costs in Parramatta are considered much more reasonable. The neighborhood is large and offers many schools and shopping areas, as well as a university campus and a great arts scene. Moving companies listed on Intlmovers are trusted and reliable professionals. You do not have to concern yourself about the safe delivery of your goods. With Intlmovers, you will only find renowned moving companies that have many years of experience in the international and overseas moving field. Intlmovers offers you an ultimate service which is totally free of obligations and costs. When requesting free quotes from up to 6 moving companies, you can be sure that you will save yourself both time and money. Find the best offer for your relocation to or from Sydney.